Once you decide that you want to become a beekeeper, you have a lot of work to do. Beyond getting equipment and wooden hive parts together, you need to order bees. One method of obtaining honey bees is to purchase a nucleus colony. We often pronounce this as “nuke”. 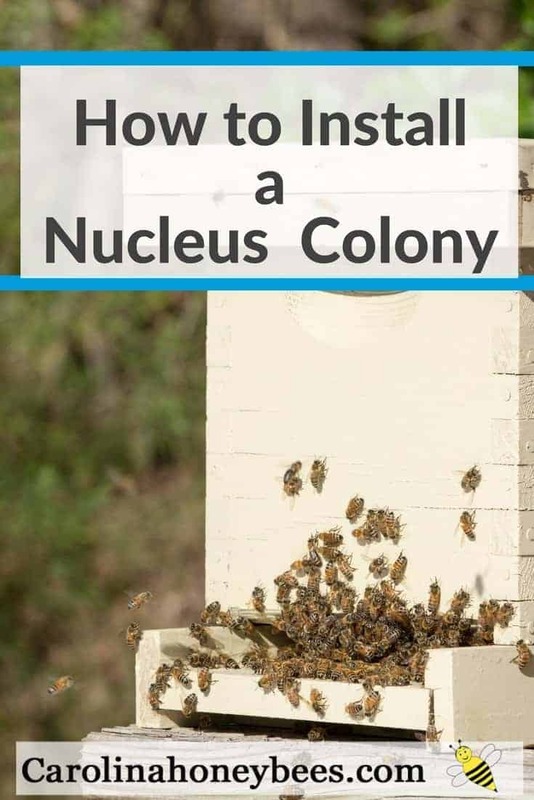 Once your bees arrive you will then need to know how to install a nucleus colony. A nuc is “the heart of a hive”. The most common size is a 5 frame nuc. 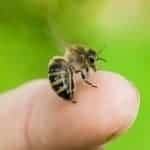 You should receive 5 frames of drawn comb with honey, pollen and brood. A mated queen that is already acquainted with the colony and enough worker bees to maintain the hive is inside. 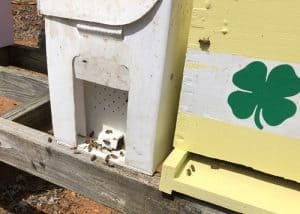 Most good nucs will have 3 frames of brood. A nucleus colony can give you a jumpstart on colony development and will grow in size quickly. Beekeepers usually pre-order nucs in late Winter or very early Spring. Most suppliers will require that you pay a deposit or full purchase price in advance. Your nuc will be delivered or available for pickup in Spring. In my area, April or May is the most common time to receive nucs. They are traditionally available a little later than package bees. 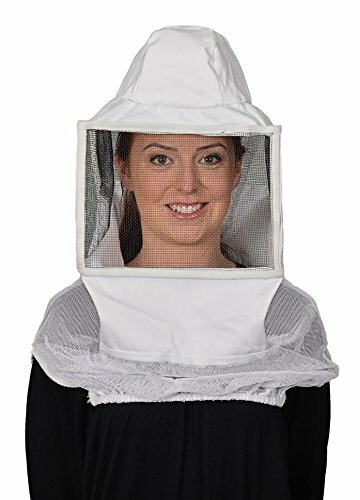 Some suppliers will ask you to bring them a hive with 5 frames. They will install the nucleus colony into your equipment. Then you return, very early in the morning or after dark to pick it up. Most of us will receive our nuc in a box or container. 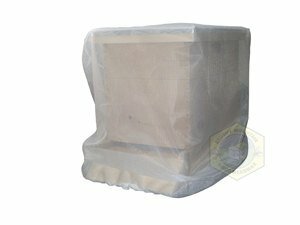 The most popular type of nuc box is a white waxed box designed to hold 5 frames and contain the bees for a while. It should be sturdy enough for transport and can often be reused to transfer a swarm. Plan to pick up your nuc very early in the day. The sooner you get the bees home and into a regular hive- the better. Treat your nuc carefully. Protect it from temperature extremes. If you are not traveling a very long distance, placing the secured nuc in the bed of your truck (but up against the cab to deter wind) is fine. We don’t want the nuc box to turn over or get too hot. Plan to drive straight home or keep the box in the car with the air conditioning running. The bees do not have a natural way to cool themselves inside this transportation box. Normally, NO bees will escape from the box. However, if one does that is not a reason to freak out. If this concerns you, take some type of large mesh bag (like the laundry bags at Walmart) to put your nuc inside. Picking up bees is fun but taking the whole family along with the family dog to bee pickup is not always a good idea. Whew.. you made it home with little or no bees getting out of the box. What is the Best Time of Day to Install a Nucleus Colony? Place your nucleus colony beside your hive. Its okay to open the door and let them come and go. I think any time of day is fine for installing a nucleus colony. If the weather is warm (60 degrees), you can go ahead and install your nuc when you arrive home. But what if the weather or your schedule prevents immediate installation? No problem, your bees can stay in the nuc box for a day or so if necessary but we do want them to be able to fly. 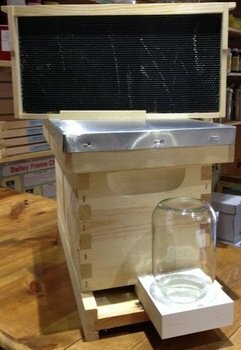 Place the nuc container right beside your permanent hive. Open the little access door on the front so the bees can come and go. As soon as possible, install the nucleus colony into the hive. Prepare yourself by putting on your beekeeper’s hat/veil or suit. A nuc colony may be more defensive than a package of bees. They have brood to protect. Light your smoker. Puff a little cool white smoke near the nuc entrance. This does not harm the bees but it helps reduce an alarm response. Have 5 frames ready for your empty hive. (Assuming you are using a 10 frame Langstroth hive). Put 4 of the frame in the hive – 2 on each side. Open your nuc box. Start with one of the frames on the outside and carefully remove them from the nuc box. Be VERY careful. We don’t know which frame the queen will be on. Do not “roll” or squish your queen!! Once you have all the frames (including the one with the queen) in the new hive. You can place the last empty frame in the hive to complete your 10 frame setup. 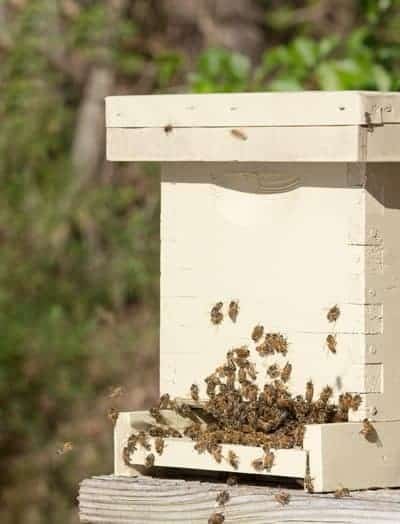 You are ready to close up the hive and put your feeder in place. It is important to feed your nuc. Even though they begin with 5 frames of drawn comb, they still have a lot of work to do. One last time for installing a nucleus colony, be sure to install your entrance reducer. We want the entrance to be a bit small until the population builds up. Congratulations beekeeper. You have installed a nucleus colony in your new beehive. It is important to continue feeding your new colony to promote growth. In a couple of weeks, it will be a good idea to do a queen check. If everything looks good, when 7 or 8 of the 10 frames are drawn out-you will be ready to add another box. Don’t give them too much space too soon or Small Hive Beetles may cause trouble. Monitor the growth of your nuc. This is only one way to install a nucleus colony. 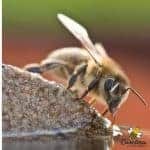 There are many ways to accomplish all aspects of beekeeping. Find a method that fits your style of beekeeping. And, you can also try starting a new hive with package bees too!